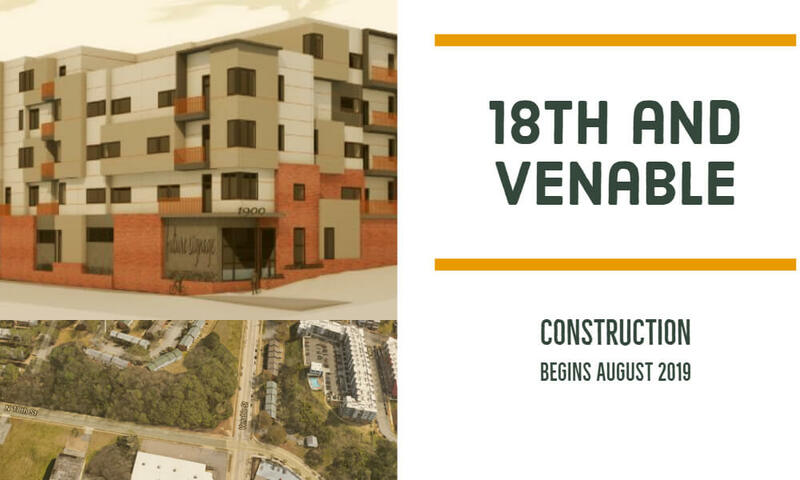 This is the same company that worked on the Raven Place Apartments nearby at 1710 E. Broad St. in 2009, and the Shockoe Valley View apartments in 2017 at 1904 Cedar St. in Shockoe Valley. If this is the same lot that was listed back in 2017, then a healthy argument developed in this story. Some folks called out the lack of green space in the city, while others call out that this is one of the last remaining pieces of land in the city available for development. These LEGO complexes baffle me. Maybe it’s just that rendering of it that doesn’t look that great. Hopefully the real thing is easier on the eyes ? If you don’t like the render or the look of the recent condos that have been going up, I suspect you won’t be in to the finished product. The image has a great dystopian smog filter. True Maybe it’s the end of days sky that’s throwing me off. Anybody trying to get on 95 at 8am…? It’s a Cluster. There really should be a transportation piece to all of this development. Oliver Hill and Hospital Street are especially great when there’s a train I’d imagine there will be more traffic going that way as well. VDOT has plans to revamp the Broad and Franklin St. interchanges. Justin Fritch its funny you mention that… three or four years ago they had actual plans published. I tried to follow up on it in the last year or so and that plan appears to have been shelved. If you have new info please post it for us! I get on 95 @ Broad and take 95 S just in time to rear-end all the VDOT workers exiting at Franklin. It’s dangerous there…thru traffic heading south have no way to anticipate the backup onto the highway and there have been some really terrible accidents there. Sorry I didn’t mean to hijack the post and take it off topic, but it’s definitely relevant to new development. It’s disappointing to see a lack of storefront/mixed use space on the street-level floor of the building. Perhaps there’s not a market for it? It’s really, really ugly… just like everything else they’ve done. @ Katherine Jester, There were plans released about redoing this intersection as well as broad and 18th that may help the situation. Who knows when or if that will happen. In the end lets all remember that RVA traffic is not that bad for the most part. Yes it can get frustrating for an hour or so but relatively not the worst. It’s probably designed by Walter Parks, the king of the box architecture. I hope when this goes to Planning that there is a transportation study done. “The project will offer income-based rents, Solarz said, with its financing covered by a mix of tax-exempt bonds, low-income housing tax credits and traditional financing.” Do we know how many of the 151 units will be affordable? Multi unit rentals going up on 31st and Marshall. If VCUs Ram Van would just pull into the parking lot to load/unload rather than block the single right turn lane from Oliver Hill onto Broad, this could improve some of that daily disaster immensely. It drives me nuts!